Parenthood is adventurous and from the time I knew I was pregnant to now when Jianna is growing so fast, I have so many stories to tell, recommendations to make and experiences to share. Despite the fact that raising a child is not an easy job, nothing is more fun than watch them grow. Through Jinscribe I am combining my love of writing by sharing my adventures of parenting. Jinscribe is a place where I will be writing about all the craziness, fun and emotions we feel when we become parents. 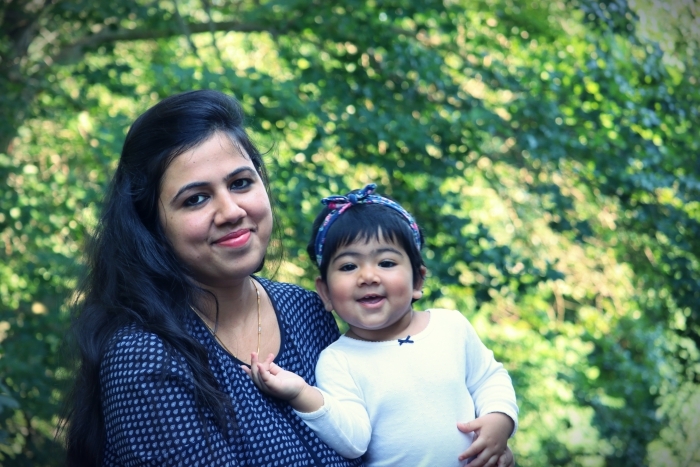 I will be sharing few of my learnings (as I am a new mom too) with new parents .Occasionally I am going to write about baby fashion trends, DIY baby looks too. If you like reading real life stories, real experiences about parenting, then it’s the right place for you. I would love to share the thought behind Jinscribe. Jinscribe is combined with ‘J’ and ‘INSCRIBE’. The ‘J’ in Jinscribe comes from ‘J’ in ‘JIANNA’ and meaning of ‘INSCRIBE’ is ‘carving on something, as a permanent record’. Jianna is my inspiration for starting this blog and babies do carve new things in our lives. So that’s how Jinscribe is made. Yes that’s me. If Aradhana is too big for you , you can call me Aru. I have worked as a software Engineer in IT industry for 8 years. In 2015 I quit my job and got a break from my fixed routine. This gave me a chance to explore myself. I tried several things during this exploration process and I must mention that few of them turned out to be disasters 🙂 but I never stopped pushing my own boundaries. Right now I am a freelancer (using my IT experience), loving wife of my super loving husband, happy mom and a Newbie to blogging world. I hope my writings/blogs will help you in some way or makes you smile. It’s good to share while you discover. So all you internet moms and dads: do subscribe to my blog and let’s start sharing our discoveries together.